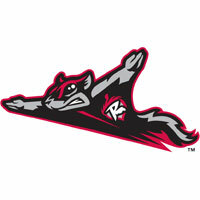 The Richmond Flying Squirrels (22-25) lived on the edge all afternoon, and eventually succumbed to the Reading Fightin Phils (27-22), 6-3, on Sunday at FirstEnergy Stadium. Richmond hurlers walked 10 batters, while a costly error in the eighth inning also helped Reading overcome a three-run deficit. The Squirrels got off a fast start against lefty Jesse Biddle in the first inning. With two outs, Mac Williamson clubbed a triple off the top of the right-field wall. While Devin Harris was batting, Biddle unleashed a wild-pitch that allowed Williamson to score for a 1-0 lead. The lead held through the fifth inning, despite right-hander Kyle Crick living dangerously in every inning. He walked six and conceded three hits through five innings, but did not allow a run. That was due in large part to three consecutive inning-ending double-plays that stretched from the second to the fourth innings. The Squirrels padded their lead with two runs against Biddle in the sixth. Rando Moreno got the inning started with a single into right field. Two outs later, Biddle walked Harris to put two aboard. Ricky Oropesa then blooped an RBI single into left field that scored Moreno for a 2-0 lead. Biddle then walked Mitch Delfino to load the bases and was finished for the day. Lefty Hoby Milner entered and delivered a wild-pitch that allowed Harris to score for a 3-0 advantage. Biddle (4-2) allowed three earned runs on four hits over 5 2/3 innings. He walked three, struck out two and did not record a decision. Crick matched a career-high with six walks, but did not concede a run on four hits across 5 1/3 innings. He struck out three and did not factor in the decision. Lefty Kelvin Marte finished the sixth for Crick and also got the first two outs of the seventh. He then allowed two men to reach, which prompted Richmond to bring on right-hander Edwin Quirarte. He walked the only batter he faced to load the bases. The Squirrels then went back to the bullpen, and lefty Phil McCormick finally stopped the inning by bouncing out Brock Stassi. Right-hander Joan Gregorio entered to start the eighth and walked the first two batters of the inning. He was quickly lifted for Pedro Rodriguez, who promptly got a ground ball from KC Serna. The Squirrels committed a crucial error on the play, and everybody was safe with Gabriel Lino scoring Reading’s first run. After the remaining runners were bunted over, Cam Perkins sprayed a soft two-run double to right field to tie the game, 3-3. Roman Quinn followed with an RBI single to right field to put Reading in front, 4-3. Aaron Altherrr added an RBI triple off the base of the wall, and Brock Stassi capped the 10-batter, six-run inning with an RBI single, also off the wall. Rodriguez (2-2) took the loss for Richmond. Lefty Adam Loewen (1-1) earned the win for Reading, handling a scoreless eighth inning. Right-hander Stephen Shackleford had no trouble in the ninth, earning the save after retiring the side in order. The finale of the four-game series is scheduled for 11:35 a.m. at FirstEnergy Stadium on Monday morning. Richmond LHP Matt Lujan (2-4, 5.10) will make the start against Reading RHP Zach Eflin (4-3, 3.48). The Flying Squirrels Pregame Warmup will begin at 11:00 a.m. on Fox Sports 910 and FoxSportsRichmond.com.